Happy (belated) First Day of Spring! While we're coming up on a year here (woah! 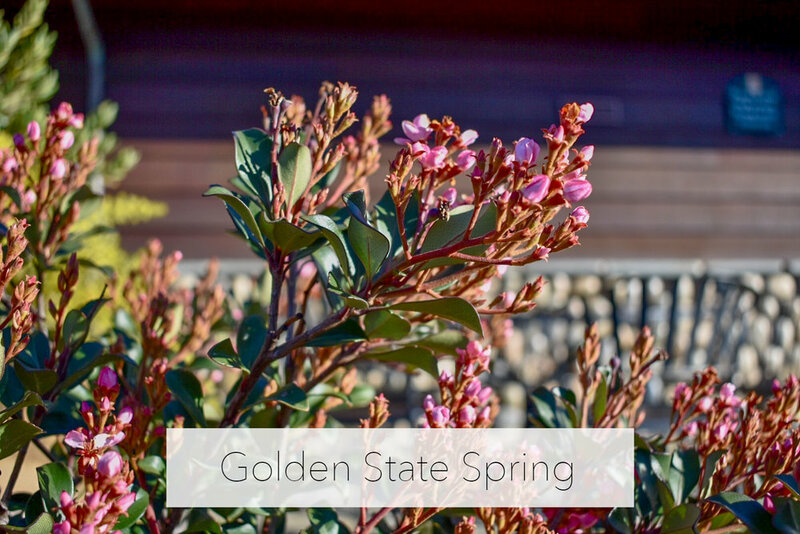 ), this will be my first time experiencing spring in California. Though we've had a lot going on as of late, my hope is that we can still find the time to take a few spring adventures. Tahoe just got a huge snowfall, so the intent is to do an overnight trip up there while there's still skiing to be had. I also got a new camera lens but it's been raining nearly every day — I'm hoping to use spring to make up for lost time! In addition to fun stuff, spring feels like prime time to evaluate where energy is being focused and make sure everything in life is on the right track. While being busy has led to a lot of things I care about slipping through the cracks (like calligraphy — whoops 🙄) it's also opened up new doors for my career. I'm excited about the opportunities I've received, but because I have a hard time saying no it's been easy to lose myself in the process. When I think about my long-term life goals, I want my short-term actions to line up and spring is the perfect time for self-checks like this! Now that I know what my problem is (not saying no) I can work on a solution (saying yes only to valuable tasks). Sometimes that means saying no to lesser opportunities to make space in life for better things to come along!